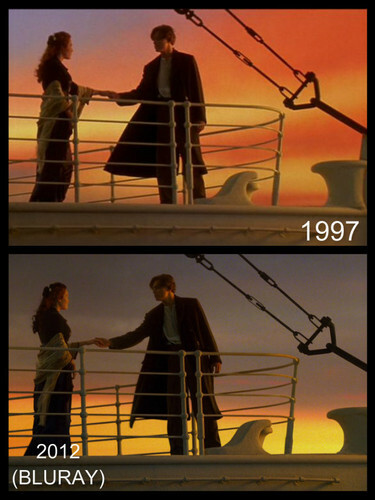 Titanic vhs VS bluray. Titanic's Most Iconic Scene (Flying Scene) in both VHS and Bluray (1997-2012). HD Wallpaper and background images in the Titanic club tagged: photo titanic titanic3d titanicbluray flyingscene rose jack blurayvsdvd. This Titanic photo contains konsiyerto.